The writings of no man among the Christian Brotherhood have been so universally popular as those of Benjamin Franklin, save the extended writings of Alexander Campbell. Franklin’s volumes of Sermons, Debates and Tracts, together with his miscellaneous writings, have for many years been in general demand, and have met with ready sale. No excuse is offered for this volume, save that of public demand. The public demanded the volume, and it is, therefore, submitted. 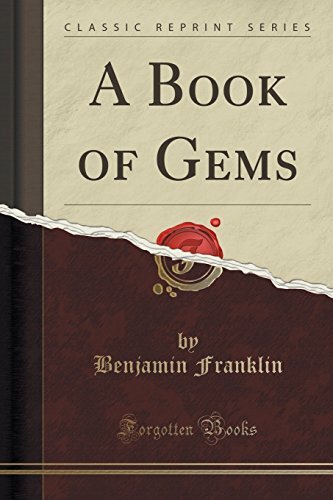 Benjamin Franklin FRS FRSE (January 17, 1706 [O.S. January 6, 1705] – April 17, 1790) was a renowned polymath and one of the Founding Fathers of the United States. Franklin was a leading author, printer, political theorist, politician, freemason, postmaster, scientist, inventor, humorist, civic activist, statesman, and diplomat. As a scientist, he was a major figure in the American Enlightenment and the history of physics for his discoveries and theories regarding electricity. As an inventor, he is known for the lightning rod, bifocals, and the Franklin stove, among other inventions. He founded many civic organizations, including Philadelphia’s fire department and the University of Pennsylvania. His colorful life and legacy of scientific and political achievement, and his status as one of America’s most influential Founding Fathers, have seen Franklin honored more than two centuries after his death on coinage and the $100 bill, warships, and the names of many towns, counties, educational institutions, and corporations, as well as countless cultural references.